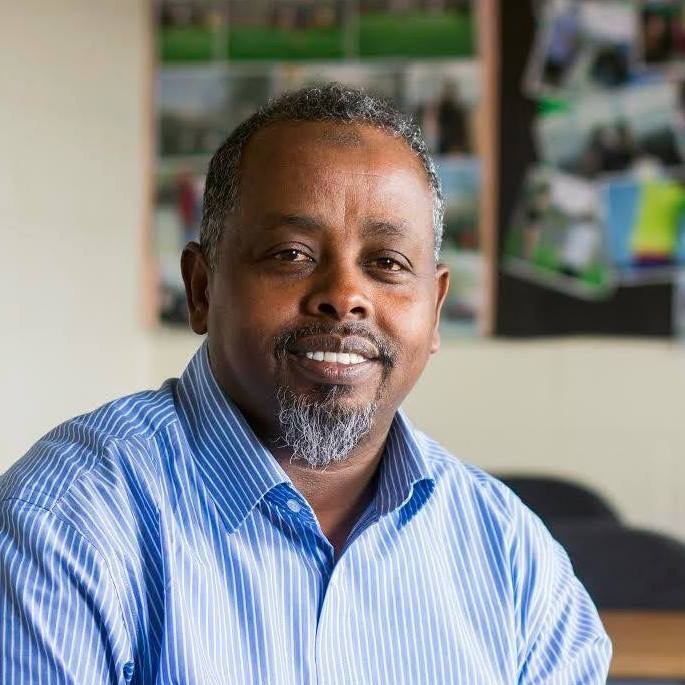 AbdiHakin A. Asir (BSMG – 06 Feb 2018) – For the last ten years, I have seen, year after year, parents complaining attainment levels of their children in the inner-city schools of Bristol and they have also found difficult to understand who they need to talk to about these failing schools. A number of meetings I attended, parents questioned local authority representatives and local councillors on why the local authority or central government are not doing anything regarding these schools that are performing lower than the government expected levels. Most of the time, their questions are either ignored or dismissed by saying these schools are academies and we ‘as a local authority’ have no control over their management. So, what is the prospect of these children who are attending these schools, but who are still waiting to achieve the same results of their siblings who previously attended these schools? Are we collectively saying, it is Ok to fail when you are attending these failing schools? Who is responsible for their failures? These are genuine questions that all schools, whether local authority maintained schools or academies, need to answer in order to find a way forward, solution for this difficult situation that many students in inner-city schools – regardless of their ethnicity, race and social economic background – are facing. No one can deny the extreme difficulty that school managers and teachers are working in, which is caused by the continuous change from central government. However, children and their parents have the right to question about these persisting poor attainments, which will have dire consequences if not addressed properly, and they should get right answers from relevant institutions. Attainment is only one element of so many things parents have a concern about. Parents, especially those who have had their education elsewhere, have no idea how the UK education system works. They start struggling without getting any support from schools and other institutions. So let me explain the struggles that parents are facing, which many schools are not considering or maybe themselves do not know how to support parents with specific needs regarding the education system and the role parents need to have to support the education of their child. A few days ago, I met a parent whose son has just started secondary school. Although he is going to attend his first parent meeting this month, he was struggling to accept the fact that no one has said anything about his son’s progression since the new academic year started almost six months ago. The parent said, “I drop my son at the school in the morning and I collect him in the afternoon without seeing teachers or receiving any information.” It is a big change from what parents normally experienced when their children were attending primary school. I have also seen parents complaining about sixth form schools regarding lack of information from the sixth forms, colleges or higher education providers. No one prepares parents for this structural change in these transition period, from primary to secondary to college, and they feel abandoned. Since the GCSE reform, there are so many changes taking place in the schools and even some schools have changed the time children starting their KS4 or GCSE courses. Previously, most of the secondary schools used to have normal three years KS3 and two years of KS4, so the majority of the children used to have subject options by the end of year nine before they start GCSE courses the following year. Now, what you see in many schools are children having their options by the end of year eight without proper explanation to the parents. These options have a tremendous impact on what the child can pursue a career in the future based on the subject they choose in this early year. I can understand that maybe schools are finding difficult to cover the depth of knowledge that the reformed GCSE requires in just two years as it used to be before, but there is not enough information given to parents as a high number of them have expressed concern over lack of in-depth explanation on the impact this early option can have the future of their children. GCSE reform also brought in grade changes and other measurements that government is using to compare between schools. From last year, GCSE English and Maths, are graded in numbers rather than letters. Before the reform, any child who had achieved level C and above in certain subjects, including the subjects they want to study in their level three or A-level courses, used to have a chance to progress. So, level C was a pass grade even though it was a very low pass grade. Now there is no clarity in what the Government is publishing as a bench mark and what some schools are telling they achieved to their students and parents. For instance, these two pictures are from Government website where they compare results of all schools. https://www.compare-school-performance.service.gov.uk/school/144509. Both pictures are referring to only one inner-city school. The first picture with the graph is showing us the percentage of students who have achieved level 5 and above in English and Maths which are 31%. The other picture is showing the number of students achieved level 4 and above in English and maths which are 43%. Even though, there are 12% in between the two results, the school may use the level 4 and above percentage when they are telling their students and parents the results the school had this year, but if the parent goes online and put the name of their school, they will just see the first picture with the graph. Why the Government is using the first result than the second is a good question but one thing we all need to remember is, even if we use the result of the second picture, more than half of the students of that school have not achieved level 4 and above in English and Maths. That means, all of these students who have not achieved that benchmark, cannot go to level three courses or level three apprenticeship. This is the biggest problem (low attainment) we have in inner-city schools from primary to secondary which we all need to think and find a solution. All these changes are having a real impact on all aspect of learning. Schools are trying to do so many things alone, trying to educate children in isolation, but they are only producing the same results that they have been producing for the last ten years. What is missing here? Is there a better way that we (schools, parents, communities and local authority) can work together to improve the attainment of our schools? In my view, we can do a lot if we genuinely work together and improve the dialogue between parents and schools from primary to secondary schools. There are so many practical things that schools can do. For instance, I used to work one of the secondary schools in the city before the GCSE reform. At that time there were so many newly arrived communities and particularly that school used to have a high number of students from these newly arrived communities. The school management has agreed to organise parent information sessions in the middle of the school day, where a high number of parents used to attend and school managers used to explain the parents their role and what they can do to help their children. Looking back now, that was one of the best programmes of parental engagement that I have witnessed. It improved the working relationship between parents and teachers, and many students of that school have achieved remarkable and unexpected results during these years. This school used to struggle to recruit enough students, but now it is one of the highly oversubscribed schools in the area according to available information. Schools, from primary to secondary, need to reinvest time and effort to engage more with parents and spell out, deal with misconceptions about what parents and schools can do together. The notion of “hard to reach parents”, in my view, is just a myth invented by those school managers who are only want to focus micromanaging their schools without achieving great results and trying to push their failings to others. Definitely, parents and schools have a common aim and objective which is to help the student achieve the best they can achieve so, and working together will only make things easier. Bristol City Council have a big role, tremendously, to play in here especially the education services by facilitating and investing more resources towards parents and school engagement, where parents can learn what they can do to help their children learn better regardless of their level of education or the parents language skills. Having been part of very successful parent engagement programme which yielded high results, I am confident that Bristol inner-city schools can overcome the issue of low attainment by synergising the resources which schools and parents have separately by redesigning and redefining what they need to do together in order to have a real impact on students’ attainments in the coming years. Only together (parents and schools), we can overcome this challenging situation but we need to open up and schools who are interested in engaging and benefitting from parents and communities’ knowledge and experience. Previous Somalia: Maxaa sababay xil ka qaadista wasiirada?